According to the U.S. Bureau of Labor Statistics, there were 4.0 million non-fatal injuries at the workplace and 5,702 workplace fatalities in 2005. Under California law, employers are responsible for an employee’s injuries occurring on the job without regard to the employee’s carelessness or fault. However, California law also provides that if an employee receives Workers’ Compensation benefits, the employee generally may not recover from the employer in any legal action other than Workers’ Compensation, unless the employer intentionally injured the employee or knowingly allowed the employee to work in an environment that the employer knew was hazardous. The employee therefore receives definite benefits without having to establish fault, but foregoes the ability to recover a wider range of damages potentially available in tort. Even if an employee is precluded by law from suing his or her own employer, the employee may be entitled to recover from other parties who are responsible or partly responsible for the employee’s injuries; this is referred to as a “third party claim”. For example, in Zepeda v. Marine Sheet Metal Corp., our firm represented a cannery worker whose hand was cut off by an improperly guarded egg dicer in a lawsuit against the company that manufactured the defective egg dicer. Unlike a Workers’ Compensation claim, where the employee is entitled to recover only part of their losses, in a third party claim the employee may potentially recover damages for disfigurement, pain and suffering, loss of enjoyment of life and emotional distress. In selecting a law firm to represent you in an industrial accident case, you should consider the firm’s legacy and financial strength in determining whether or not they will be capable of aggressively pursuing your case. Magaña, Cathcart & McCarthy has a long legacy of representing the best interests of victims. We routinely work with the most qualified experts in their respective fields, and most of our partners have completed comprehensive, medical courses through the Medi-Legal Institute at U.S.C. Medical School. We are in a unique position to offer the experience and financial strength necessary to ensure the best possible result for your case. 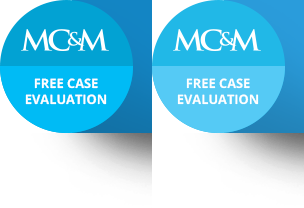 To learn how the firm can obtain results for your specific case, please call (310) 553-6630 or email our firm. For more information about the law and industrial accidents, visit our Personal Injury Legal Information Website, a resource for accident victims sponsored by the MCM Law Firm.